Description: For a distinctive and luxurious look in any residential or commercial space. 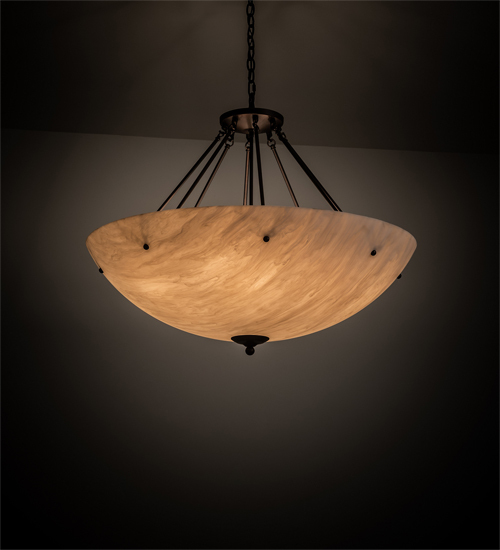 Madison is thoughtfully designed with a Fleshtone Idalight diffuser and enhanced with hardware and accents featured in a Mahogany Bronze finish. This transitionally styled fixture is perfect for illuminating corridors, lobbies, living rooms and other areas. Custom crafted by highly skilled artisans in our 180,000 square foot manufacturing facility in Yorkville, NY. Diffuser colors, sizes and metal finishes can be customized to meet your needs. UL and cUL listed for dry, damp and wet locations.